To support the efforts to improve the quality of the Colville Village water supply, a program to control the wild animals in the water collection area was initiated. Most of the area from which the water is gathered is covented with the QE11 Conservation Trust. No domestic animals are grazed within the collection area. The blue line shows the area of the catchment for the water supply with the dam at the top of the photo. With financial support from Waikato Regional Council, 36 possum traps were purchased and laid which have caught over 100 possums in the first year. It was found the area had a large number of wild pigs in the collection area. Through trapping and hunting over 80 pigs were removed in a 2 month period. The traps have been monitored by volunteers and more people are needed to take a walk in our beautiful bush once a week to inspect the traps. Fruit is also required to bait the traps. Any spare fruit or wind falls suitable for bait can be offered at the CSSC during office hours. This project arose directly from the Colville Village community's need to ensure the long term provision of clean drinking water to the village. Initially the CDW supported the elected working party to explore and present a range of options to the village community. Following this, they supported the new Colville Water Supply Society Committee to plan for the implementation of the option voted for by the community. Currently the CDW is supporting this committee to carry about their plan and to ensure that sound strategies are in place for the management of the Colville Water Supply Society into the future. In support of the Colville Village Water Supply Project, the CDW has been working to support our community to implement catchment care initiatives to protect the integrity of the water quality. 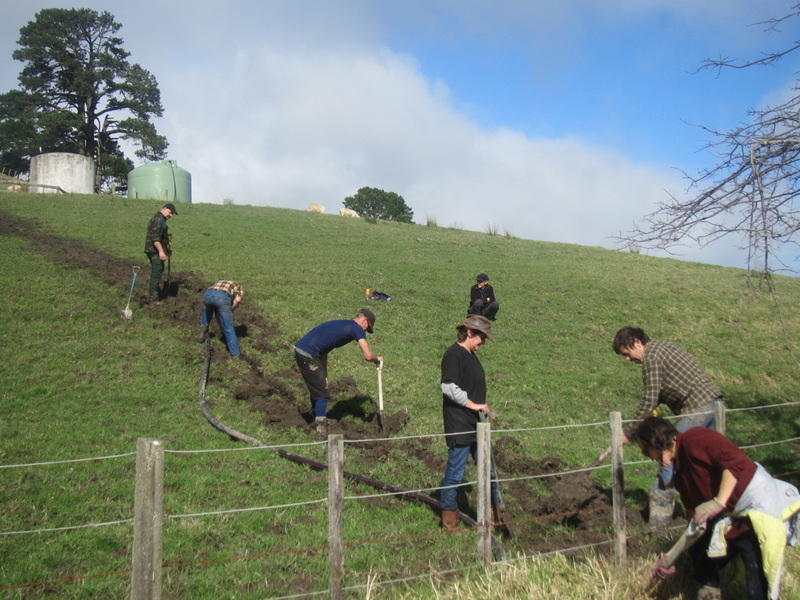 Currently, funding has been received from the Waikato Regional Council's Small Scale Initiatives Fund to enable the purchase of 36 Timms traps in order to limit possum populations in the catchment area. This initiative complements existing trapping being carried out in the surrounding area. The new infrastructure for Colville Village water supply has now been completed following the placement of the line from the new intake to the storage tank. 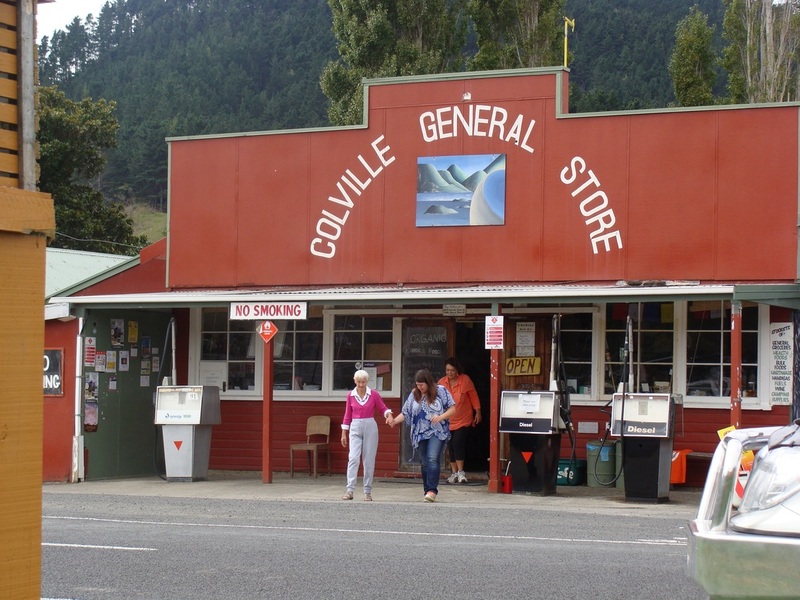 The AGM of the Colville Water Supply Society was held of 5th February 2018. 3. Water Society Chairperson David Wright is happy water has arrived via the new system at the storage tank. Following the AGM held on 5th February all the required documentation for operating and maintaining the system has been approved by the members. The 20micron + 1 micron + uv purifiers have all been installed at all users properties and will be connected as soon as the plumber is able. A surveyor has been engaged to complete stage 4 survey and registration of the easement, however his workload means this will not begin for another 4 weeks. Colville Community extends their gratitude to Coromandel Colville Community Board who have contributed to the survey of the easement in order to secure the system for future generations. Timeline for implementation of upgraded water supply for Colville village. The project was been divided into 4 stages based on potential weather conditions. Stage 1 is to lay all the infrastructure from the header tanks to each individual user. This has been initiated and thanks to a team of hard working volunteers the lines have been laid and all tapped house connections prepared. 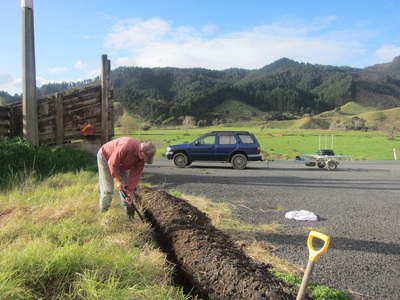 ​The plan was to connect the houses the following week end but it started raining and has not stopped since. Our connection holes are filled with water. Stage 2 is installation of filters + uv purifiers to each dwelling. This is underway with a good bulk deal on the filter+uv units provided by Thames Farm and Industrial. Stage 3 new intake dam and line to the header tank. Stage 4 will be to survey an easement and register it on the title of the properties involved to ensure the security of the system for future generations. This will be completed before the end of March 2017. In tandem with this we are working on the required documentation. An MOU between CWSS and CSSC along with water safety management plans for CWSS and each user. In addition to providing water to domestic and business users the new system will also make water available for fire fighting through 50mm outlets placed around the village. ​Big Thank You to Coromandel Lions for there contribution in helping with funding the fire fighting water supply.